Most English and Japanese people like trains. Both countries have an extensive rail network, both have groups of avid trainspotters, and both countries love Thomas the Tank Engine. Possibly the two most famous fictional trains in Britain are The Little Engine That Could and The Hogwarts Express. The Little Engine That Could said “I think I can, I think I can,” as he struggled to the top of the mountain and then, “I knew I could, I knew I could” all the way down the other side. The Hogwarts Express left platform nine and three-quarters and took Harry Potter to Hogwarts School of Witchcraft and Wizardry. If these fictional trains actually had to deal with the real British rail system, then the stories might be a little different. The Little Engine That Could would have decided that it couldn’t be bothered and Harry Potter, due to a derailment or a rail strike, would have never made it to Hogwarts. Slow, unreliable, and expensive. Trains in Britain are about as effective as inflatable dartboards. Things in Japan, however, are different. My first train journey in Japan was from Narita International Airport to Tokyo and then on to Niigata. Once I had bought my ticket, a station worker showed me exactly where to stand on the platform. Dead on schedule, the train I wanted pulled into the station, its doors opening directly in front of me. It was obvious that time keeping was something that was expected rather than hoped for by train users in Japan. From Tokyo to Niigata I took the Shinkansen bullet train. If British trains are equivalent to old family cars then Shinkansen are like Rolls-Royces. Not only can they go faster, but they do it without making it look or sound difficult. Britain now has some high-speed cross-country trains; it does not, however, have high-speed train tracks. This means that for the moment these new trains are restricted to a more mundane pace. Japan doesn’t appear to be resting on its laurels. 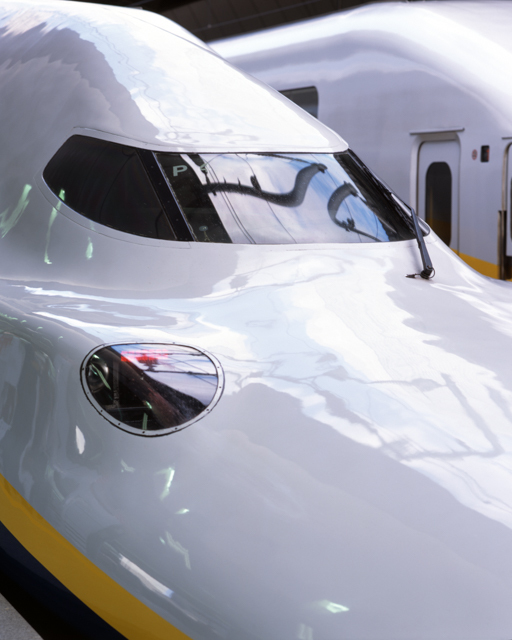 The Nozomi bullet train that runs between Osaka and Tokyo already travels at an amazing 280kph.But a current research project is developing a maglev (magnetically levitated) train that has been tested at speeds of over 550kph. England seems to be great at creating fictional trains, but it needs to invest in the real ones as well. 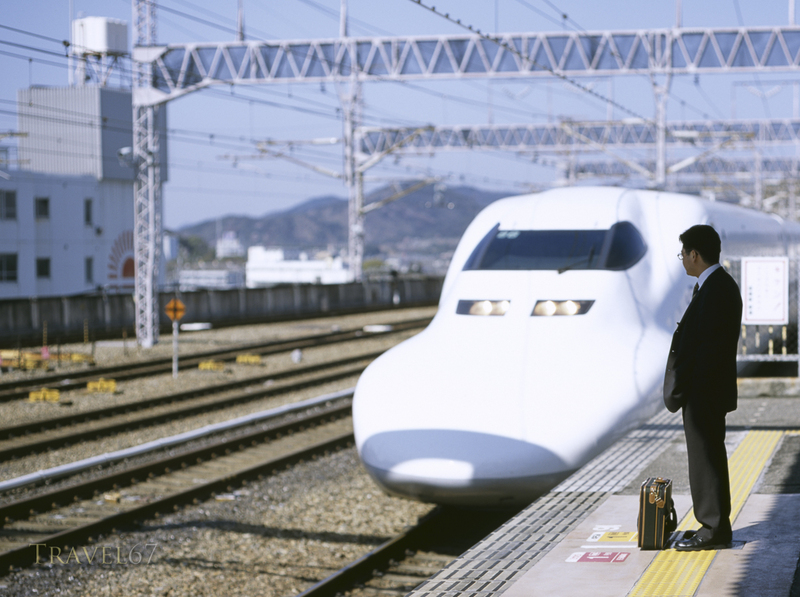 If it followed Japan’s example, England might even manage to get the new trains to run on time. Shooting some stock video of a bullet train in Tokyo with my friend Damon Coulter. Must learn to shut up when filming rather than chat away with the intention of removing the sound later.